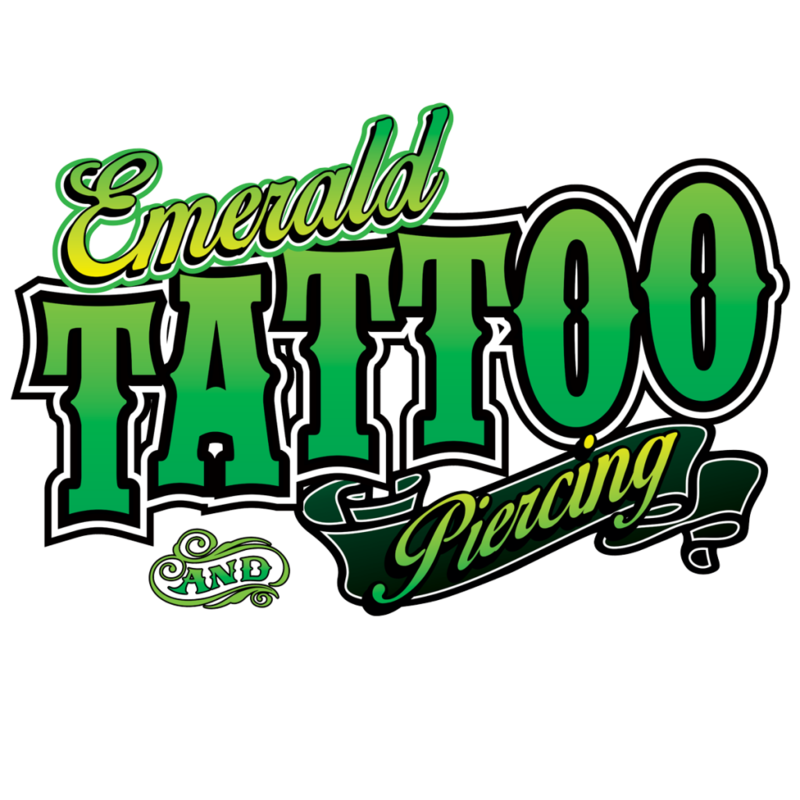 We are Emerald Tattoo & Piercing. We have been featured both locally and internationally for our art as well as commitment to our customers. Specialized in cover-ups as well as creating custom, unique artwork in various tattoo styles. Not your typical body art studio; we are one of a kind on every level from artwork, atmosphere, to our dedication to customer service. Committed to every one of our clients and trust that each client’s experience will be a memory to remember for a lifetime. We guarantee every client’s work as well as experience, after all the client wears the body art for a lifetime. We strive to provide each client with the most professional body art /piercings a person could ask for, as well as get to know each one personally, remembering our team is part of their life forever. Our company is about quality body art practiced in the most sterile environment, not quantity of tattoo/piercings. Our mission is to make body art and piercings more acceptable one piece of body art work at a time. We inspire ones artistic soul, one community at a time.